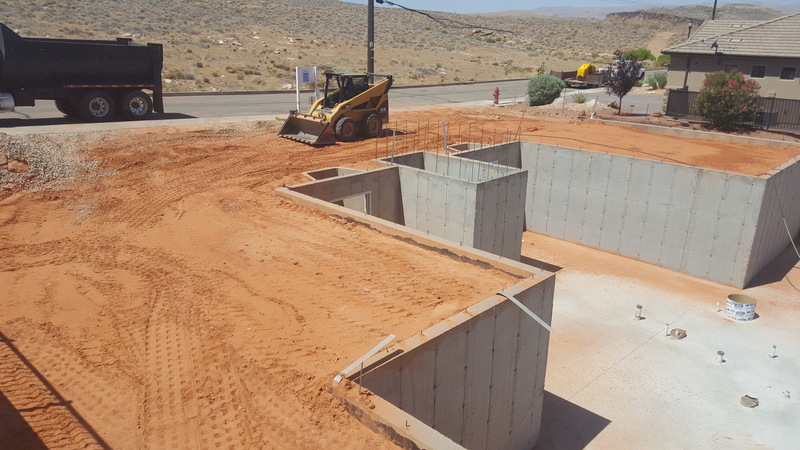 Rock On Walls & Falls is one of St George UT’s top excavation companies that specifically caters to the needs of local homeowners. 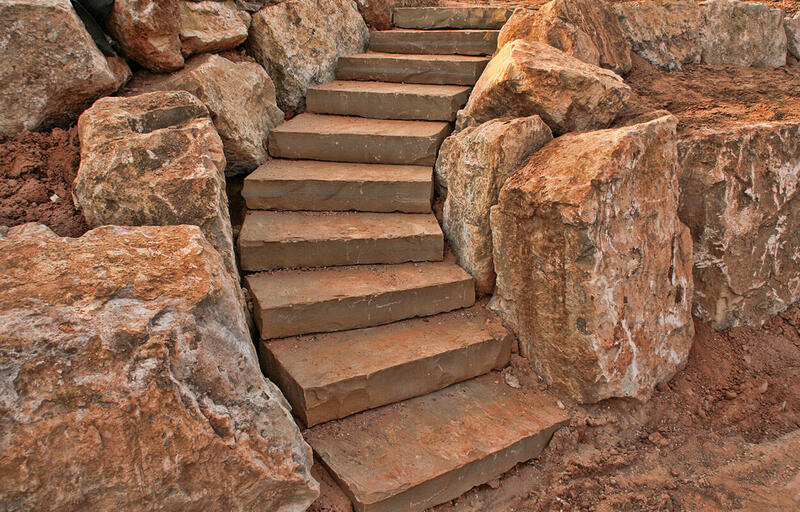 Whereas larger excavation companies can’t devote all their time to smaller excavation projects, Rock On Walls & Falls gives your project the attention it needs. This means that excavation won’t take longer than anticipated, saving you money and preventing delays on future construction or landscaping. 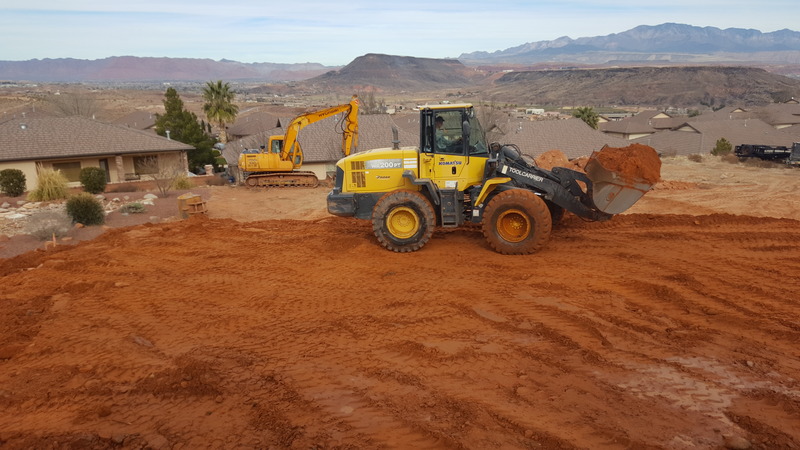 When you need land cleared for a rock retaining wall, demolition services, general site preparation and other excavation services for a new home site, we are the excavators to call! 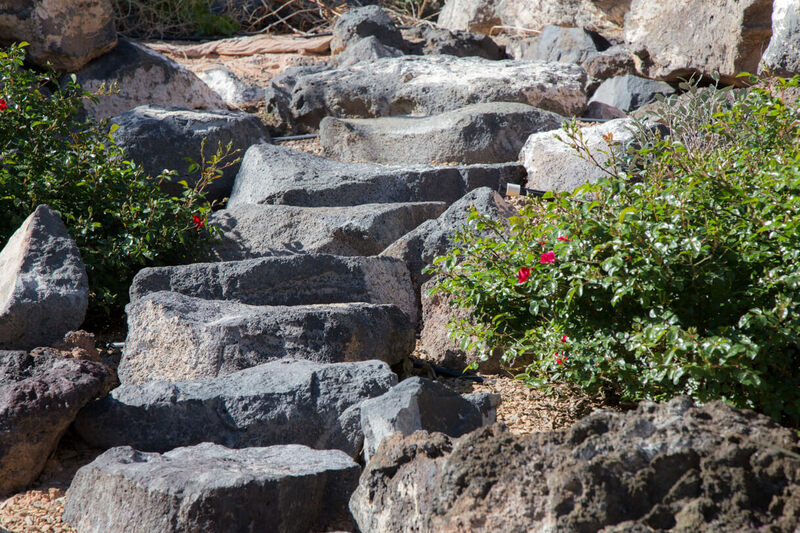 Our 10+ years of experience as excavators and hard landscape specialists are among the many pros you’ll discover when working with Rock On Walls & Falls. Each project we undertake is given the utmost consideration and care. As a small, family-owned excavation company, we can focus all our attention on you. Your project becomes our priority to complete quickly and on time. 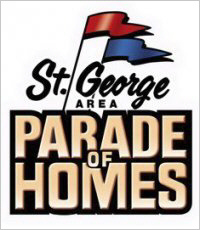 We show up and work efficiently, and our owner is on-site from beginning to end to ensure that everything is kept up to the highest standard of quality and meets safety and city regulations. 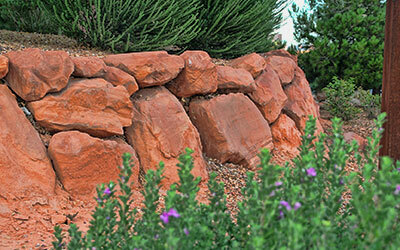 We also specialize in rock retaining walls and rock waterfall landscaping. Our team brings an artistic approach that exceeds expectations time and time again. Our customers are continually impressed by the creative ability we showcase in our work. 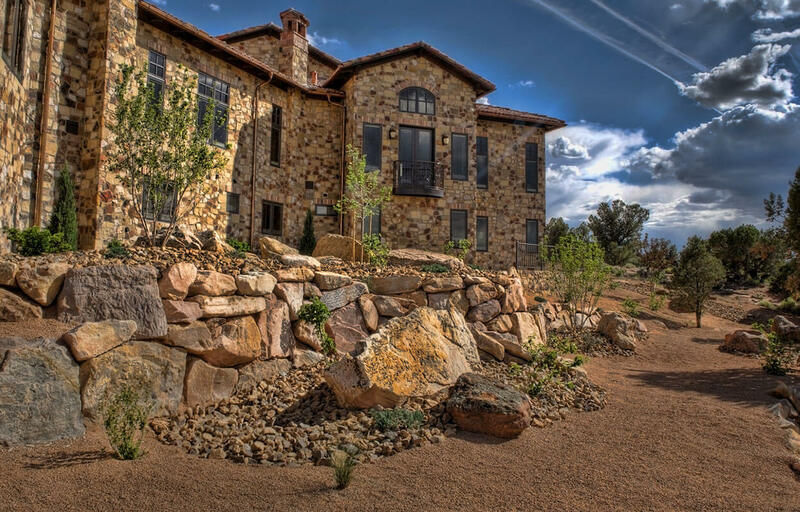 So when you’re getting ready to build a new home in St George UT or need excavation services for another home or landscaping project, contact Rock On Walls & Falls. Call us today to receive a free estimate for your residential excavation needs! Dirt work, rock removal, pool excavation—you name it! From lot preparation to placing fill dirt, we’ll perform your landscape excavation needs on time and on budget. 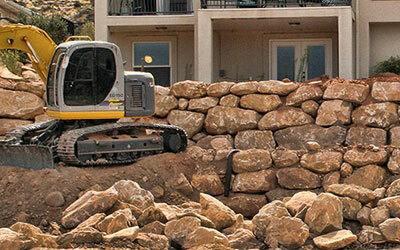 We also install engineered rock walls for even the toughest terrains. 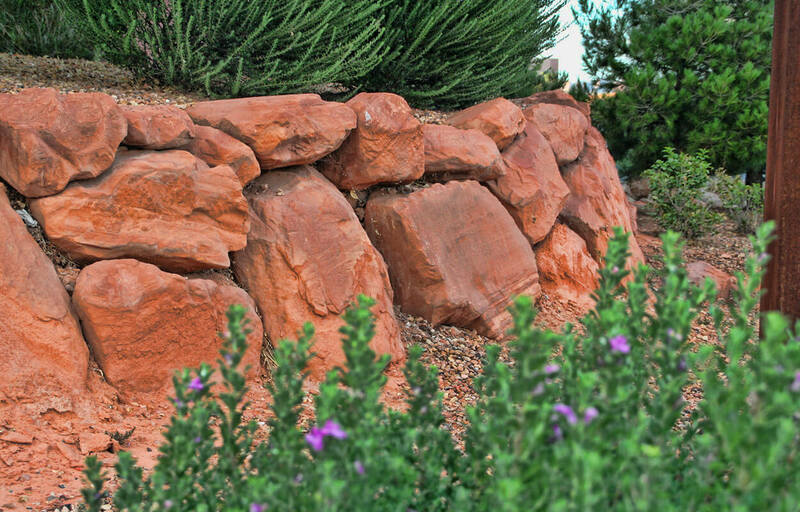 Each rock retaining wall we build has a solid, clean look that is not only looks great but is structurally-sound. 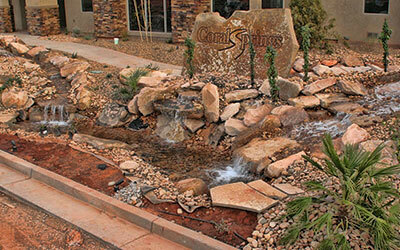 From rock xeriscapes to rock water features, we give character and variety to your landscape. We are your hard landscape specialists ready to create your backyard oasis. 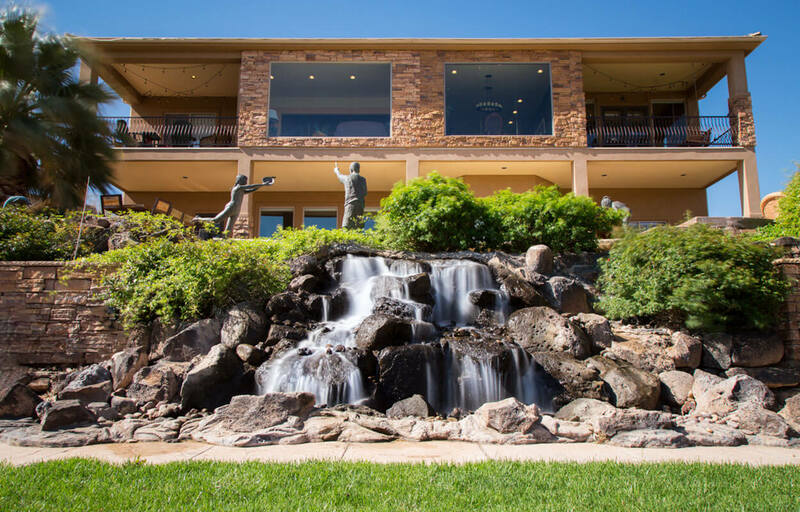 We take a creative and artistic approach when creating the perfect water feature or waterfall to change your landscape environment. 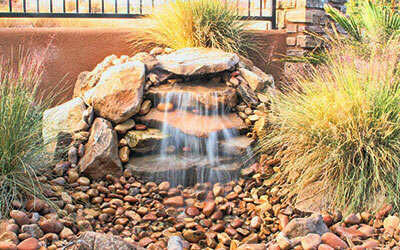 You won’t be disappointed with the backyard water features we can make for you.